Airscene News » Blog Archive » Coming Soon….Flight Sim 2018! 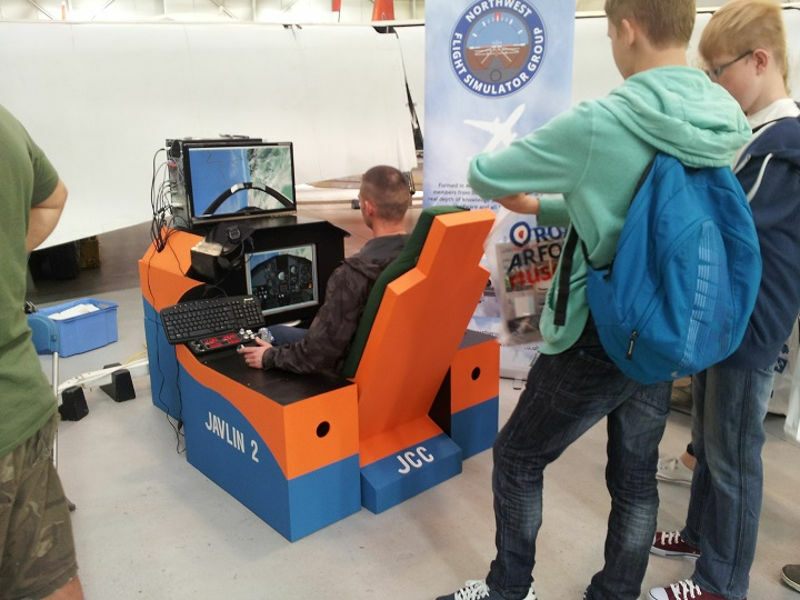 Aviation fans can experience the best that virtual flight has to offer this autumn when the Flight Sim 2018 event, hosted by Just Flight, takes place at the Royal Air Force Museum Cosford on Saturday 6 October. The Museum will be hosting this major one-day event for the sixth consecutive year and once again will be giving flight simulation enthusiasts a chance to try some of the very latest aircraft and other software. Visitors can view new technology from specialist flight sim PC and cockpit equipment builders, have a chat with developers, publishers and fellow virtual aviators – and no doubt pick up a bargain or two! More than 30 exhibitors have already confirmed their attendance, with more expected to follow, and a full day of presentations is scheduled in the adjoining auditorium. Leading companies in flight simulation, including Laminar Research, Orbx, Aerosoft and Infinite Flight are all confirmed to attend the popular show. Flight Sim ticket holders will enjoy the very best of both the virtual and the real worlds of aviation in the same venue, as entrance to the RAF Museum is free. Suitable for new and veteran desktop pilots alike, the show will run from 9.30am until 5.00pm, giving aviation enthusiasts plenty of time to find out more about life in the virtual skies. Tickets for Flight Sim 2018 are now on sale, save money by booking in advance for just £8 via the shows website. Entry for children under 16 is free of charge when accompanied by a paying adult. Visit www.flightsimshow.com for all the show details.